Thank you nyctaper, can’t wait to give this a listen. This looks like a GREAT set! Thanks so much for sharing! Last night (Dec 24) was recorded by a nyctaper correspondent and will be on the site later tonight. This sounds really great! Terrific work as always – can’t wait for the next one. Many thanks from faaaaaaar away from Maxwells. this show sounds awesome. Thanks so much! 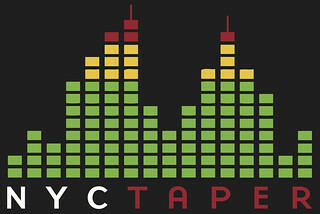 Was curious about a post i saw awhile ago, you mentioned you had some recordings by bands like Belle and Sebastian and the Dismemberment Plan and others and I was wondering if you plan on putting them up on NYCtaper. Thanks again! Belle and Sebastian is ready to post, I’m just waiting for an ok from the original taper. Its a show from the Hammerstein in May of 2002 that sounds excellent. Fred Armisen is tonight’s comedian, and Antietam is indeed the opener. nyctaper, thanks very much for this–I’ll write to you re: the FLAC files. I did not record the Zorn/Ribot set because both artists do not permit live recordings. only listened to the first track so far, but i can tell this is a special show/recording. THANK YOU. YLT gives a show with gusto as evidenced on another first rate nyctaper recording! Wow! Thanks Hugely for this YLT live show.